For availability and accurate quotes please click on 'Check Availability' link that can be found on the Welcome page or Accommodation page. 1. Do you require a deposit upon making a booking? Pumpkin Island requires a 25% deposit to be paid upon making a booking. Visa or MasterCard on our website through a secure payment system when making your booking or via Electronic Transfers. 2. How do we get to Pumpkin Island? 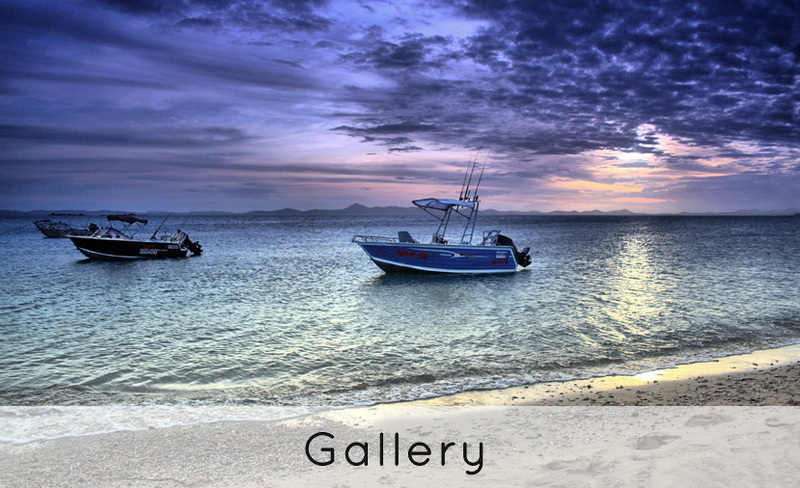 Transfers to Pumpkin Island leave from Yeppoon’s Keppel Bay Marina, which is situated at 1 Waterline Way, Yeppoon. Pumpkin Xpress takes you on a 45 minute journey to Pumpkin Island. This ferry service operates on Mo﻿nd﻿ay, Wednesday, Friday and Sunday at a cost of $40/adult (one-way) and $30/child (one-way) for one return trip per booking. Please note if any extra transfers are required above the one return trip per booking, you will need to contact management to discuss alternative options and associated costs. ﻿Pumpkin Xpress can travel on any chosen day for whole island bookings. for up to 34 guests. Guests are more than welcome to bring their own boats. For further detailed information visit the ﻿Getting Here﻿ page. 3. 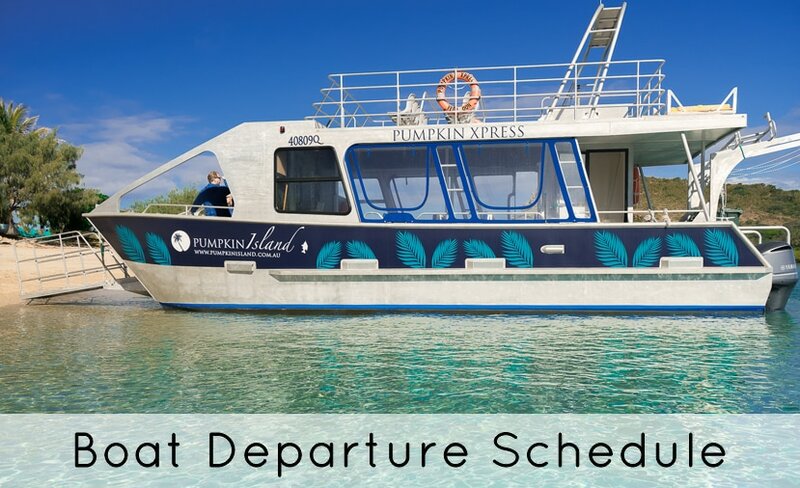 What time does the boat transfer, Pumpkin Xpress depart Keppel Bay Marina on day of arrival and Pumpkin Island on day of departure? For guests' convenience we have a 'Boat Departure Time' schedule where guests can check departure times for up to a year in advance. Follow the links on the website or go directly to the Boat Departure Times page. We kindly ask that guests arrive 30 minutes prior to deparute to start loading luggage in order not to delay the vessel departure. Due to tidal conditions an limited access onto the island as well as guests returning from the island, the boat has to depart promptly at the scheduled departure time. For single cottage bookings the vessel departs on a Monday, Wednesday, Friday or Sunday. The vessel is flexible to depart any day of the week for whole island bookings. 4. Is there a baggage limit on the boat transfer? 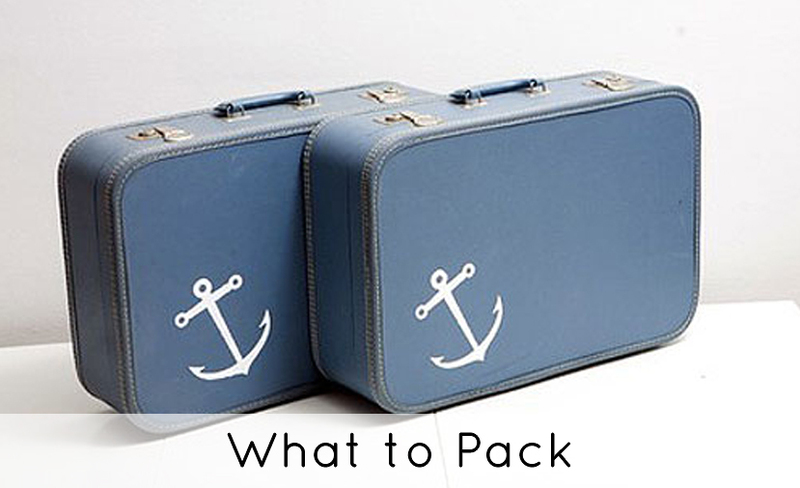 We encourage guests to bring everything they feel they might need for a self catering holiday. There are no limits as such, but please let us know if you plan on bringing any oversize items or equipment as we will need to inform the boat crew and ensure there is ample space for all guests on board. Unfortunately the cottages can not power Thermomixes, toasters, hair straighteners, hair dryers or coffee machines, so these items can be left behind. 5. Does Pumpkin Island have a jetty facility? 6. How long does it take to get to the island from Keppel Bay Marina? 7. Does Pumpkin Island have a shop or restaurant? bring all clothes, food and drinks for the duration of their stay. The island has a licensed bar in the Sunset Lounge where guests can enjoy a craft beer, cider, wines or cocktails. 8. Does Pumpkin Island have a laundromat? facilities or washing machines available for guests to use. There is a laundry tub available at the Lookout where guests can hand wash any necessary items during their stay. All the cottages have clothers airers to dry towels, clothes or swimming gear. 9. 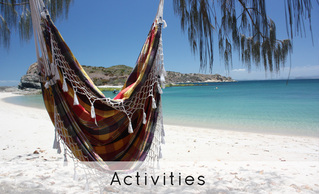 What complimentary activities do you offer? nothing gets swallowed by the tide. 10. What about a beach bonfire? management before lighting any fires on Pumpkin Island. Firewood may be for sale on the island at $20 per bag. Check with island staff on availability before arrival to ensure enough firewood is on hand. 11. Is there mobile phone reception on the island? Yes, there is full Telstra, Optus and Vodafone reception and therefor access to the internet. 12. Is there wifi available on the island? Unfortunately Pumpkin Island does not have any wifi access. There is full mobile reception available on the island though, so guests will be able to access the internet from their mobile devices. 13. What if it rains and is blowy? it’s rainy … fortunately providing power and drinking water too. 14. Is there power in the cottages? Yes, but only 12 volt solar and wind power to power the water pump, fans, lights and fridge. We are proud of the quiet power provided by nature to us. Each cottage has a USB port for charging mobile phones and smaller devices. There is no 240 volt power available in any of the cottages. Unfortunately the cottages can not power Thermomixes, toasters, hair straighteners, hair dryers or coffee machines and kindly ask guests to be conservative with energy usage. Each cottage has a plunger or stove top percolator that can be used to make coffee. The Sunset Lounge has a coffee machine and cappuccino's or latte's are available free of charge in the Sunset Lounge to kick start your day! 16. How far from the beach are the cottages and bungalows? Pumpkin is a very small island, only 150 meters wide and 450 meters long. and all have beautiful sea views. 17. Do you have stingers? 18. What happens in an emergency? For any other emergencies, including fires please contact management as soon as possible. In case of storms or fires, island staff will notify guests to gather at the Sunset Lounge Building if safe to do so. If this building is not safe, guests will gather on the main beach facing Yeppoon. 19. Do the kitchens have fridges, stoves, ovens and kettles? What size is the fridge in the cottage? What about BBQ's? All the cottages' kitchens are fully equipped with fridge/freezers and gas stoves with ovens, grills and 4 gas cook-tops. Each cottage has a stove top whistling kettle. Fridges are 225 liters. This is like an average household size fridge with a freezer compartment. We find that the fridges are large enough to stock a week's food and supplies for a family. Sometimes drinks will need to be kept cold in eskies with ice if large amounts of drinks are needed every day. The bungalows' kitchen has two 225 liter fridges, one for each bungalow and gas cook tops, grills and plates, but no ovens. Guests are able to use the pizza oven for roasts, pizzas or baking bread. Each cottage has it's own Weber BBQ on a private deck. The bungalows kitchen has a BBQ grill and plate available. 20. Do I have to bring plates and pots, etc? No, the kitchens are fully stocked with cooking utensils. 21. Must I bring my own linen? 22. Can I drink the water? rain water for drinking. We kindly suggest guests bring refillable drink water bottles, to help reduce the plastic waste produced on the island. Water is a precious resource on the island. 23. Can I fish off the island or do I have to have a boat? 4 man tinnies for hire (boat license required) and the use of the kayaks is complimentary. 24. Can I snorkel around Pumpkin? 25. What fish are there in the area? 26. Can I bring my pet? of boarding kennels available in Yeppoon and Cawarral if your pets are currently travelling with you. 27. Where can I leave my vehicle when I come over? Guests can leave their vehicles at Keppel Bay Marina carpark if they wish. Judy and Wayne on (07) 49336670, they are very friendly and always happy to help.